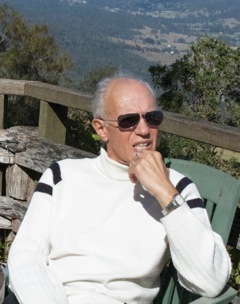 Darryl Greer is a former lawyer and lives with his wife in the Gold Coast hinterland. He began to write seriously a few years ago. Before that, he had a number of published articles to his credit but the real love of his life now is novel writing, mainly thrillers and crime/mystery/suspensenovels. Late in 2009 he published The Election, details of which can be found on his website www.darrylgreer.com. Apart from writing, he enjoys walking, swimming, travel, theatre, cinema, reading - thrillers of course - and says he can still pen a song and play a decent tune on the guitar. Select the cover to see Darryl's new book.